Food-at least a 3 day supply of non perishable food; Infant formula if needed. Flash light(s) one per family at least with 2 sets of batteries for each flashlight: may also want to consider a crack flashlight as well. If you have pets you will want to include the same amount of food, water & medications, for each pet. Family documents: Copies of Insurance Policies, Bank Account, Passports or Identification records, Marriage & Birth certificates, Medical information, and any other documents necessary. May take photos of everything yearly to keep up for Insurance if damages occur. Keep in fireproof, waterproof, and portable container. Travelers Checks…Change for toll ways or payphones. Blankets, Sleeping bags, or bedding –especially in colder places. Complete change of clothing for each member of the family: Include long sleeve, shot sleeve, long pants, socks, and sturdy shoes. Non Scented Bleach. When diluted can be used as a disinfectant or water treatment. Matches, lighters, candles, sterno’s, in a waterproof container. Paper plates, cups, utensils, paper towels, toilet paper. Paper, pens, pencils and permanent marker. Disposable cameras to take photos of damage as documentation. Sunscreen, insect repellant and hats if possible. Utility tools: assorted knives, screwdriver, hammer and axe. NOTE: Protect all items from water and other environmental elements. Store items inside plastic bags inside the kit and then make sure the kit is waterproof as much as possible. Store the kit in a clean and dry area that is easy to access in an Emergency! Remember that in a true disaster or emergency all these items are great but YOUR LIFE is the most important! I am not a Doctor so if you have an emergency please seek professional help. This is just a BASIC FIRST AID SUPPLY list that comes in handy for the “Uh Oh, Ouch” moments! Suggestion: One kit in each car, one kit in each bathroom, one kit in any traveling unit. Once a year check all kits and make sure everything is up today. Throw away any product with an old expiration date or soon-to-expire date. Re-supply items needed or low. 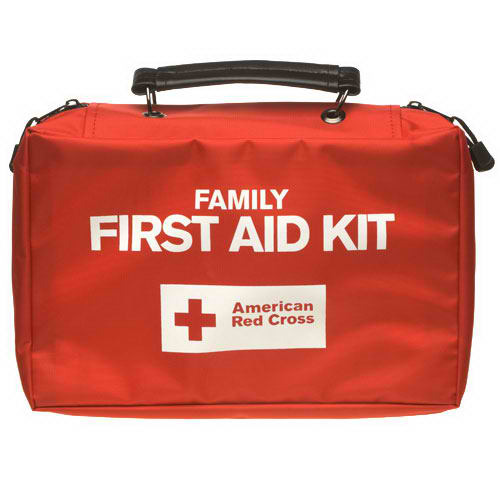 Keep a card in the kit with all medicine allergies for each affected family member. Now you are ready for any minor BOO BOO’s! This is certainly not an exhaustive list. It’s important to understand that emergencies are defined by the victim; if you feel you are having a medical emergency, call 911 immediately. May God protect you and Keep you Safe while having FUN!